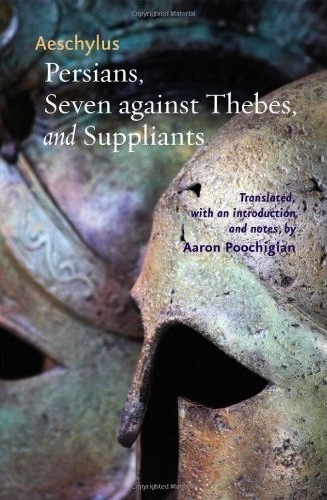 Aaron Poochigian's new translations of Aeschylus's earliest extant plays provide the clearest rendering yet of their formal structure. The distinction between spoken and sung rhythms is as sharp as it is in the source texts, and for the first time readers in English can fully grasp the balanced, harmonious arrangement of choral odes. The importance of these works to the history of drama and tragedy and to the history of classical literature is beyond question, and their themes of military hubris and foreign versus native are deeply relevant today. Persians offers a surprisingly sympathetic portrayal of the Athenians' most hated enemy; in Seven against Thebes Argive invaders, though no less Greek than the Thebans themselves, are portrayed as barbarians; and in Suppliants the city of Argos is called upon to protect Egyptian refugees. Based on textual evidence and the archaeological remains of the Theater of Dionysus at Athens, Poochigian's introductory overview of stage properties and accompanying stage directions allow readers to experience the plays as they were performed in their own time. He is most careful in his translations of the plays' choral odes. Instead of rendering them with little or no form, Poochigian has preserved the comprehensive structures Aeschylus himself employed. Readers are thus able to recognize Aeschylus as a master of poetry as well as of drama. Poochigian's translations are the most accurate renditions of the poetry and dramaturgy of the original works available. Intended to be both read as literature and performed as plays, these translations are lucid and readable, while remaining staunchly faithful to the texts.